Divorce is one of the hardest things an adult will experience in their lifetime. Selecting the right attorney to represent you in divorce or other family-related legal matters is critical to making your experience as productive and stress-free as possible. 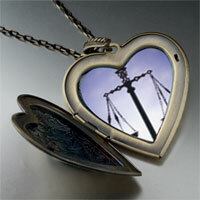 Divorce and Child Custody Cases create an emotional situation. Most times it is an adversarial or “heated between the parties. As your attorney, Lincolnton Family Law can help you focus on moving forward with your life choices. You need a lawyer that can help you understand your legal options and assist you with the decisions you will have to make in the upcoming months. No two cases are alike because no two families are the same. 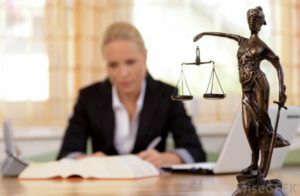 Regardless of your circumstances, whether it be your income, the size of your estate, or how amicable you may be with your spouse or significant other, you need to review your particular situation with an experienced family law attorney because these are big, life-changing decisions ahead of you. Our pledge to you is to make your problems our problems and together get through this difficult time to a happier future. Why use Lincolnton Family Law as your divorce attorney? Jennifer Hames is a highly respected lawyer focusing solely on North Carolina family law. Jennifer is skilled at handling complex and highly contentious cases that require an aggressive approach, as well as those who help clients wishing to avoid courtroom litigation through problem-solving and settlement negotiation. Each case is evaluated from every perspective to provide you with customized representation. From the moment you walk in the door, you will know that Jennifer has a genuine concern for her clients’ emotional and financial well-being. I had no light at the end of the tunnel during my horrible divorce before I met with Jennifer. She not only guided me through the process, but I was able to get primary custody of my children and a favorable property settlement. Thank you for giving my case your personal attention and getting me my life back! Jennifer resolved my case quickly and inexpensively. She always appeared in court early and ten times more prepared than the other attorney. We won a very complicated case and I would recommend Jennifer to anyone. Jennifer answered the many divorce questions I had, worked with my husband’s attorney to make sure to solve our problems without making them worse. Jennifer made sure that there was no more legal work than was necessary and with her low fees Jennifer is worth every dollar. I highly recommend Jennifer and her firm.